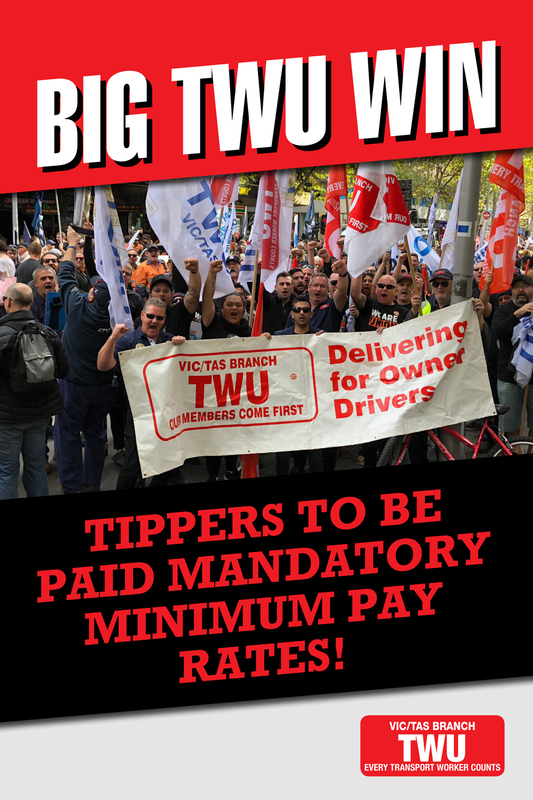 TWU Vic/Tas » CAN YOU DIG IT??? The Andrews Government this morning pledged a game-changing $50 billion underground suburban rail network linking every major rail line in Melbourne, as well as the airport rail. This work will take decades & that’s great news for our tip truck drivers members with legislation currently progressing through State Parliament that will ensure groundbreaking mandatory minimum rates on all State Government Infrastructure jobs. That legislation followed a hard-fought campaign by the TWU and our tip truck driver members. THIS IS WHY WE FIGHT!! !